I'm back from Alaska (images forthcoming)! 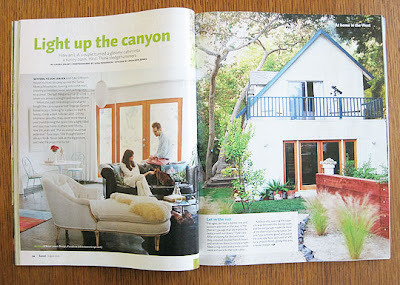 And I'm so excited because I came home to the August issue of Sunset Magazine that has an article in it that I wrote! 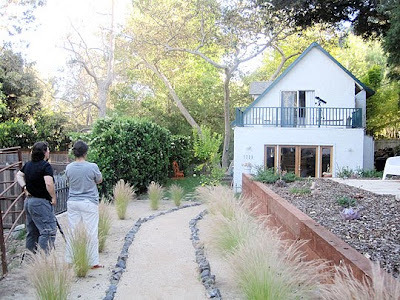 It's a brief look at Jon and Tyke's modern cabin up in Topanga. 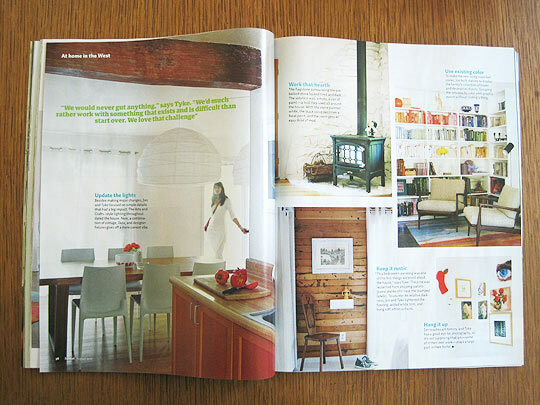 I had a great time meeting all the Sunset staffers and loved seeing Jon and Tyke get profiled for their great style and design (it's all about diy in their house). Sunset loved their color coordinated book case, their art collection and how light and airy they made their house (the before's painted a much difference story!). Keep your eyes peeled for a more in depth look at their house later this month when I post it on Apartment Therapy as a house tour! Very cool! Awesome home too. So proud of you! Love it love it! Read that piece - I live nearby so it really resonated. Nice work.